We must be able to discern what role we are expecting technology to play within all of the projects and programs that constitute the enterprise’s strategic plan. With this understanding, we can establish the linkages necessary to inform technology direction setting. 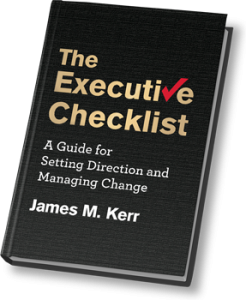 Editor’s Note: This is the first in a series of seven articles adapted from The Executive Checklist, by James M. Kerr. For the past two decades, futurists have predicted that information technology will eventually become so ubiquitous that it will be consumed as a utility, just like electricity and telephone service. That day is near, made possible by advances in the Internet, mobile computing devices and related technologies. To be prepared for this emerging paradigm, executives must establish a foundation for understanding the basic constructs that are reshaping the ways in which organizations process information and conduct business. In this way, they can drive IT strategies that will enable them to remain relevant and competitive. We offer a checklist to demystify some of the most important technology concepts and offer a way to integrate them into core strategies. Below, we present the checklist, followed by the first in a series of seven discussions: Define Where Technology Fits. In order to drive the technology discussion within an organization, executives must first review all of the possible technological implications of their strategies. It is not enough to intimately know the organization’s vision story. Indeed we must be able to discern what role we are expecting technology to play within all of the projects and programs that constitute the enterprise’s strategic plan. With this understanding, we can establish the linkages necessary to inform technology direction setting. A quick review of the project and programs is all that is needed to gain the necessary perspective. Typically, the documentation used to describe the projects and programs includes a section that calls out the technology required by each initiative. This provides the first clue about the organization’s technological expectations. However, it is wise to dig deeper because the documentation standard used may not specifically cover the technological implications of each initiative, and sometimes there are additional implications that are not explicitly defined. Here is a list of technological implications that came from a few of my recent clients’ strategic planning efforts. It is indicative of the ways in which technology requirements can be buried within the details of a strategic plan. Product Distribution Project: A niche software company recognized that the best solution for it to remain competitive involved retooling its packaged software products into a software-as-a-services (SaaS) solution. For additional emphasis, it is wise to establish a set of technology-oriented business principles as a means to ensure that management’s preferences for technology deployment are integrated into the way IT work is done. 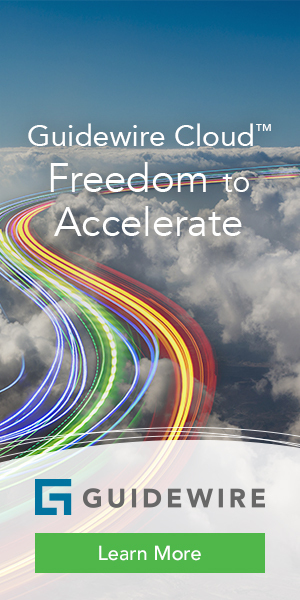 Technology principles define the “rules of the road” for IT practices within an enterprise. Editor’s Note: This is the first in a series of seven articles on IT/strategy alignment adapted from The Executive Checklist, by James M. Kerr. Click below to read other installments. For more information, visit www.executive-checklist.com. James M. Kerr // James M. Kerr is a partner at BlumShapiro Consulting in West Hartford, Conn., and a strategy thought leader who has worked with clients from both the carrier and vendor segments of the insurance industry. 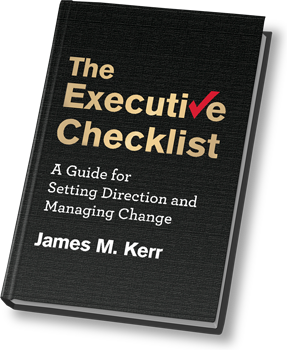 His latest book, The Executive Checklist, is now available. You can contact him at jkerr@BlumShapiro.com.